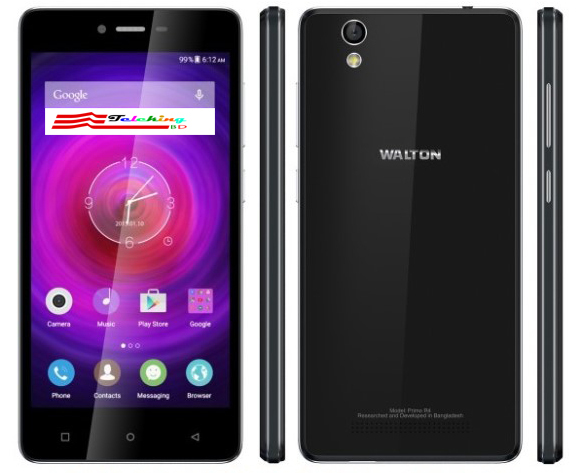 Walton Has Brought Another Stunning Android Phone Named Walton Primo R4. This Is The Third Member Of The R Series.The Newcomer Primo R4 Has Got Some Good Features Like Some Of The Previous Primo Devices. Android Lollipop 5.0 Operating System, 64-Bit 1.3 Ghz Quad Core Processor, 2GB RAM, 16GB ROM, Expandable Memory Card Up To 32GB, Dual SIM, 8 Megapixel + 5 Megapixel Camera With Many Features, 3rd Generation Gorilla Glass, 2400 Mah Li-Ion Strong Battery.